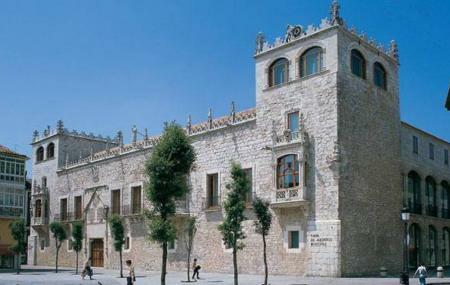 Classically designed, the 15th Century Gothic building was the palace of the Constables of Castile. The regal stately home was the resting place of the Constable of Castile, ‘Don Pedro Fernandez de Velasco and his wife Dona Mencia de Mendoza. Originally designed by Juan de Colonia and his son Simon, its unique design is the product of modification over time. The castle is a representation of marriage between a constable and his wife through the union of two houses that is the ‘Velasco’ and ‘Mendoza’. A fascinating fact of this place is that the place was used for meetings in between Catholic Monarchs and Christopher Columbus after he discovered the Americas to discuss about his new world findings. The chain at the main entrance refers to the Franciscan monk, therefore its name. There are many art exhibitions that take place in the cord house. Some of the works of Picasso, Salvador Dali, Marcel Duchamp and Eduardo Chillida are exhibited here. You can only visit the exteriors of the monument and the Renaissance courtyard in office hours, that is on Weekdays: 09am– 02pm. How popular is Casa Del Cordon? People normally club together Arcos De Santa Maria and Monasterio De Lashuelgas while planning their visit to Casa Del Cordon. People also prefer to start their day with Casa Del Cordon.